It’s free. Use it. Design with it in mind. Natural light = equity. More natural light = less artificial light. It feels good. Workers appreciate it. Light chases away inhibition. Natural light does not have to be hot. Natural light is from the sun. The sun moves. Design with natural light is more advanced than design with artificial light. Artificial light is fake. CFLs + incandescents are artificial light. Artificial light requires electricity. Electricity can be used for other things during the day besides artificial lighting. Artificial light is man made. Natural light is not man made. Animals are cognizant of day and night. The day/night distinction is irrelevant to humans. Natural light comes from one source. Artificial light radiates from countless sources. Natural light = gift. Artificial light = debt. Image via. Riverhouse, or One Rockefeller Park, is slated to open in late 2007 in Manhattan, and the word on the street is that it could be one of the greenest, most stylish residential developments on the East Coast. The developer, Sheldrake Organization, is planning on LEED Gold certification for the building. To do that, Sheldrake has enlisted the help of Polshek Partnership Architects for the exterior design and Ismael Leyva Architects for the interior design. In addition, the famous Rockwell Group is working on interior design for the one-, two-, and three-bedroom residences and other aspects of the building. Here’s a list of some of the things the developer will do: use recycled wastewater for cooling the tower and landscaping; generate electricity from solar photovoltaic panels on the roof; draw in natural lighting without heat gain by using low-E, double-pane glass; use Energy Star appliances to save energy and Toto dual-flush toilets to save water; construct the building with about 20% recycled materials and recycle over 80% of the construction waste; and acquire over 40% of the building materials locally. 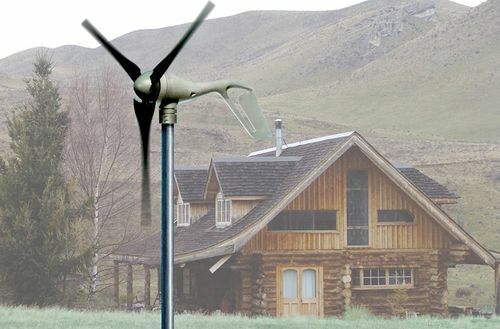 Small Wind Market Takes Off – Increasing Numbers of Homeowners, Small Businesses, and Farms are Installing Wind Turbines to Generate Electricity. BOMA Released its List of Top 10 Ways for Commercial Buildings to Save Energy. IBM is Hooking Up with The Nature Conservancy to Launch Software that will Help Businesses and Government Make Smart Environmental Decisions. The Leading Hotels of the World, Ltd., Announced the Launch of the Leading Green Initiative, a program to support Sustainable Travel International. If you’re like me, you don’t have The Sundance Channel and you buy each episode of Big Ideas on iTunes for $1.99. I downloaded the last episode called "BUILD" and liked it so much, I’m going to buy a copy of the video on iTunes for the first 5 people to comment in this post. It’s really good. 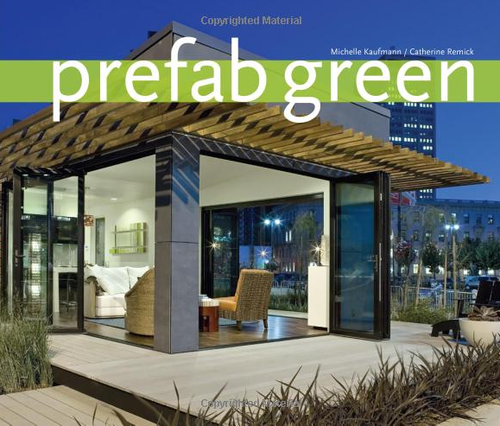 In an information-packed 25 minutes and 38 seconds, the producers take us through Michelle Kaufmann’s prefab factory, the process of building a Glidehouse, Carlton Brown’s green multifamily housing in New York, the advantages of green building, the future of green building with technology, and Mitchell Joachim’s fab tree hab. Note – I’ll use the email that you comment with to gift the episode to you through iTunes. This is not a Sundance promo, this is JG promoting modern, green building. Not only is this place sustainable, but rooms are small, too. With 96 units at an average size of 300 sf, Near North Apartments (NNA) is a pretty incredible habitat for people that deserve to live in a well-designed space. NNA is the creation of renowned architect Helmut Jahn, who designed the single-occupant spaces for limited income, homeless, and disabled persons. You’ll notice from the images that the building generates some power through roof-mounted wind turbines, or aeroturbines. 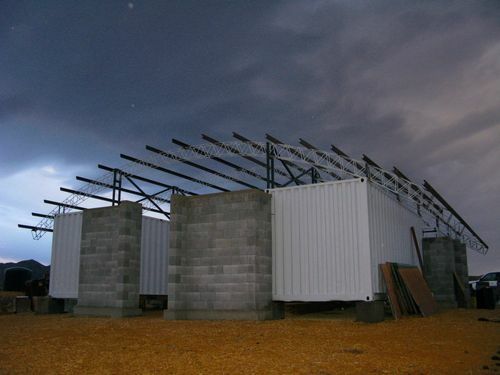 to be precise, the building shape was conceived to maximize wind to the aeroturbines. They were invented at the University of Illinois at Chicago, and are now being marketed through Aerotecture International. The building also uses solar thermal collectors and a rainwater reclamation system. The water system recycles shower water to flush toilets, apparently making it one of the few graywater systems in Chicago. NNA is located at 1244 North Clybourn Avenue in Chicago and is owned by Mercy Housing Lakefront group. The reason I’m blogging about this structure, in addition to being an example of small, sustainable living, is because it was listed on Metropolitan Home’s 2007 Design 100 list. Congrats. Starting in December 2007, Hotel Terra is going to add itself to an exclusive list of green hotels operating in the United States. The Terra Resort Group (TRG) is developing this hotel for the market niche that desires luxury + sustainability. The Jackson Hole offering, which is going to be LEED certified, will be the first of 12-15 eco-boutique resort hotels that TRG plans to build by 2015. Hotel Terra is going to have every luxury one would need in a resort stay: spa + fitness center, ‘Terra Living Room’, rooftop hot tub, two restaurants, and a snowboard/ski rental shop. Also, guest rooms will have a Bose speaker setup, flat screens, and free wireless. As far as the LEED features are concerned, Hotel Terra is going to be decked out pretty good: 100% recycled "Eco Shake" roof shingles; low-VOC carpets, sealants, paints, adhesives, etc. ; personalized, energy-efficient heating and cooling zones; radiant heating on the bottom level to minimize direct heat loss and energy use; air quality and moisture filtering technology; Energy Star windows with low-E coating; water saving features such as dual-flush toilets, low-flow water fixtures, waterless urinals, and native landscaping; rainwater capture and runoff mitigation technology; chemical free cleaning and laundry products used in the hotel operations; hotel design to maximize internal exposure to natural lighting; 80% recycled content steel in the building structure; 50% construction waste reused or recycled; wind power used for 35% of electricity purchased by Hotel; and heavy reliance on renewable or recycled building materials such as bamboo, crushed glass, and seatbelts. I’ve blogged about two other green hotel matters, Starwood’s 1 Hotel and Gaia Napa Valley Hotel. I have a feeling that Hotel Terra is going to have a leg up, assuming the absence of another market shock-type event like 9/11, on the other groups that are thinking about leveraging a serious green hotel brand. I’m also thinking I may have to take a quick jaunt up to Jackson Hole next December, since I’m going to be in SLC starting in May. Nice.